The Chevy Colorado and its cross-town frenemy the GMC Canyon revolutionized the midsize pickup segment when they re-emerged in 2015. 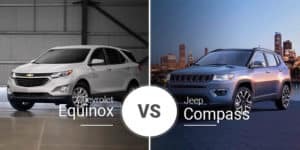 Now, the segment is growing, but these two pickups often find Orange Park, Florida buyers shopping both models. 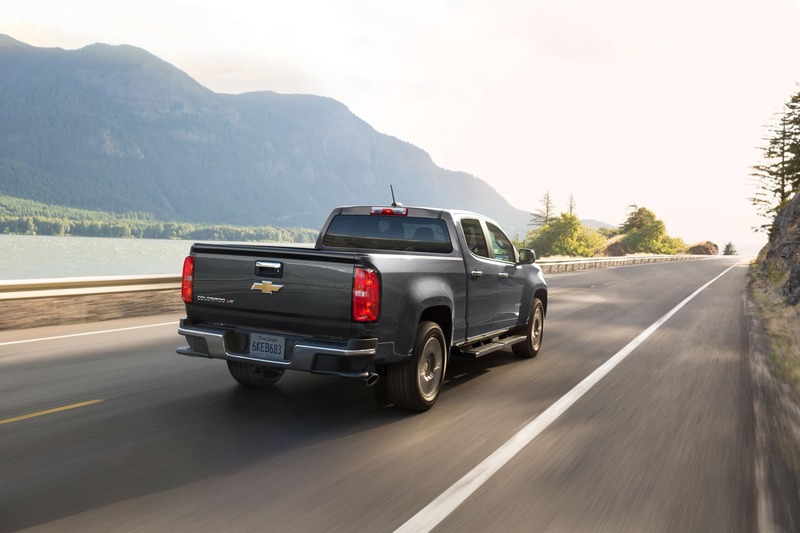 The 2019 Chevy Colorado and 2019 GMC Canyon are both great options, but which one is better for your needs here in Jacksonville, Florida? Continue reading to find out. General Motors built the Chevy Canyon and GMC Canyon atop the same platform and gave them similar styling, but they boast enough stylistic differences to set them apart. Buyers will notice the biggest variances up front where the Chevy Colorado features a smaller black grille and slimmer headlights, while the GMC Canyon boasts a larger and bolder chrome grille flanked by larger headlights. On the rear, the Chevy and GMC distinctions are obvious with their large tailgate-mounted logos. Further separating these related models are their taillights — the Colorado comes with solid-colored taillights, while the Canyon has clear-and-red taillights. In terms of size, the 2019 Colorado and 2019 Canyon are very similar as the only visible difference is in length. The Colorado’s length ranges from 212.7 to 224.9 inches, while the Canyon is shorter at 212.2 to 224.6 inches. 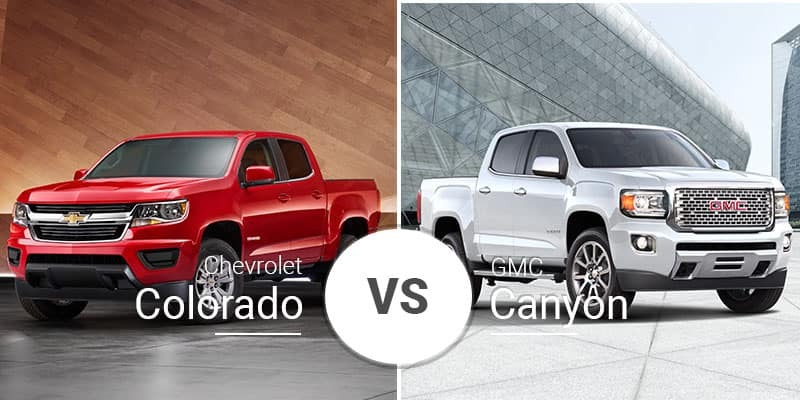 Weight also differs between these pickups as the base Colorado weighs 3,985 pounds — 63 pounds heavier than the Canyon — but the Canyon’s additional features make its peak weight of 4,508 pounds 32 pounds greater than the Colorado. Both models have optional off-road-focused options that make the exterior look more rugged. 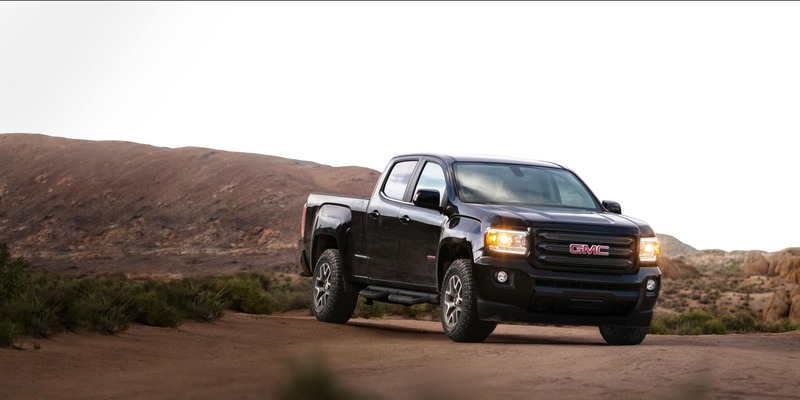 In the Colorado, buyers can choose the Z71 or ZR2 model, while the GMC Canyon has the All Terrain trim. The Canyon ups the ante with its luxury-focused Denali model — something the Colorado cannot match. 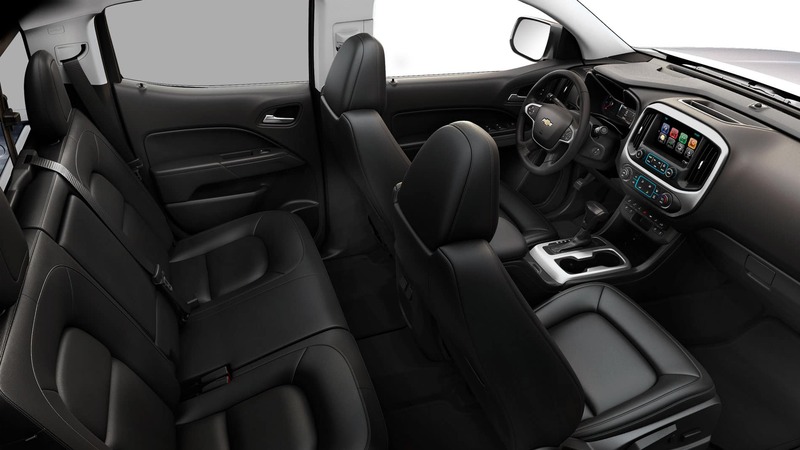 Being based on the same platform, the 2019 Chevy Colorado and GMC Canyon have identical interior specs. Up front, they both offer plenty of room with 41.4 inches of headroom, 45 inches of legroom, 57.5 inches of shoulder room, and 55 inches of hip room. 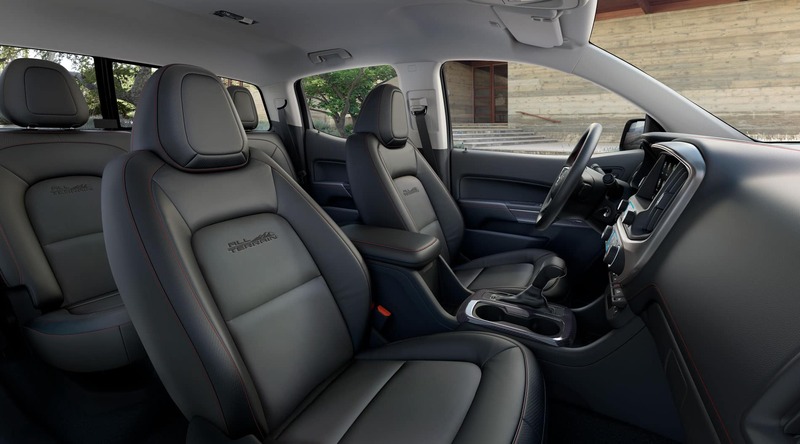 The rear-seat measurements vary between cab styles, but both models have 36.7 to 38.3 inches of headroom, 28.6 to 35.8 inches of legroom, 56.2 to 57.3 inches of shoulder room, and 52.2 to 53.3 inches of hip room. Design-wise, the 2019 Colorado and 2019 Canyon are identical, but it’s their individual styling and features that separate them. 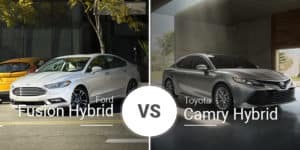 Their respective base trims are basically the same, but as you move up into the higher GMC Canyon trims, its focus on premium amenities becomes clear. The higher level of luxury shows its face in the range-topping Denali trim, which gains a Bose premium audio system, leather upholstery, 20-inch wheels, and more. Like the interior, the 2019 Colorado and 2019 Canyon are identical under the skin. Both models feature three engine options, starting with a 2.5-liter four-cylinder unit producing 200 horsepower and 191 pound-feet of torque. In both models, this engine pairs with either a standard six-speed manual transmission or an optional six-speed automatic. The midrange engine is also the same between the two models: a 3.6-liter V-6 with 308 horsepower and 275 pound-feet of torque. This engine is only available with an eight-speed automatic transmission in the Canyon and Colorado. Finally, the 2019 Colorado and 2019 Canyon share a range-topping diesel engine. This 2.8-liter four-cylinder turbo-diesel engine cranks out 186 horsepower and 369 pound-feet of torque. This torque-heavy diesel unit pairs with a standard six-speed automatic transmission. Besides being great for towing, this diesel engine also delivers great fuel economy at up to 20 mpg city, 30 highway, and 23 combined. Because the 2019 Canyon and Colorado have different weights due to their varying features, they also have varying payload capacities. The 2019 Colorado crew cab short bed model with two-wheel drive tops its range in terms of payload at 1,574 pounds. The Canyon crew cab short bed with two-wheel drive beats the Colorado’s max capacity at 1,605 pounds. In towing capacity, though, the weight differences between the two models make no difference. The both range from 3,500 pounds with the 2.5-liter engine to 7,700 pounds with the diesel engine and two-wheel drive. The 2019 Chevy Colorado and 2019 GMC Canyon come in three body styles: extended cab standard bed, crew cab short bed, and crew cab short bed. Within these body styles are several trim levels for each model. 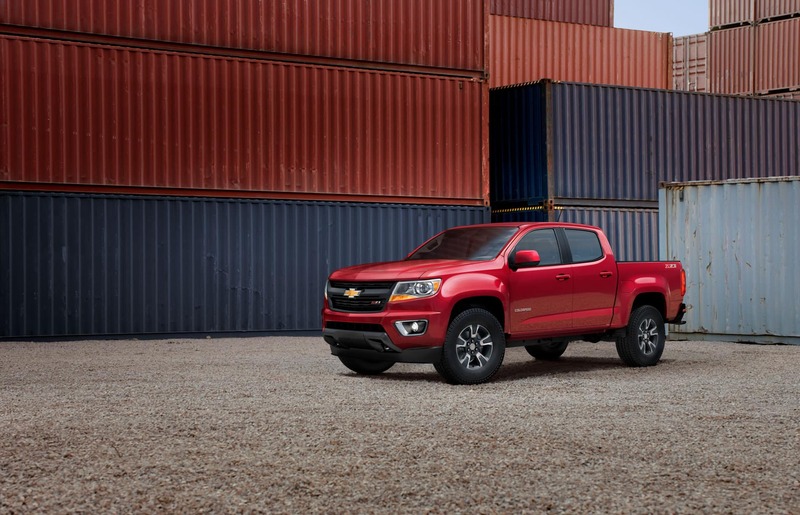 The 2019 Chevy Colorado is available in five trims — Base, WT, LT, Z71, ZR2 — and prices range from $21,495 to $41,895. 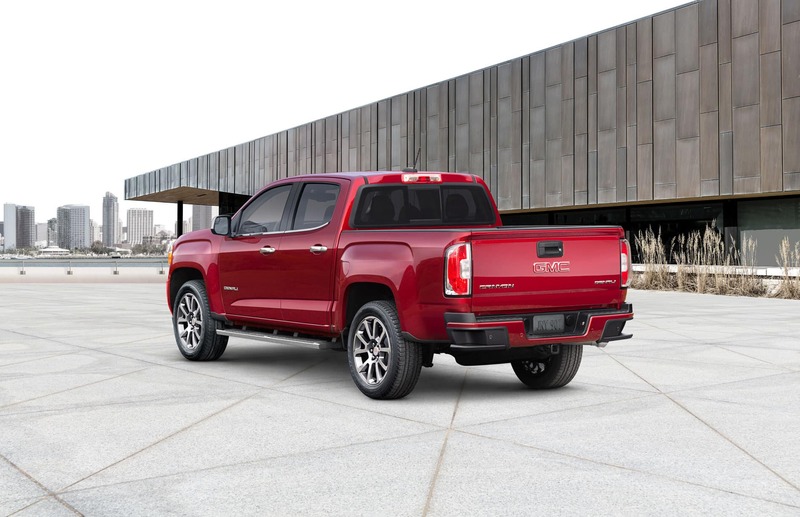 The 2019 GMC Canyon has a wider range of trims — Canyon SL, Canyon, SLE, SLT, All Terrain Cloth, All Terrain Leather Appointed, and Denali — with prices ranging from $22,395 to $41,295. 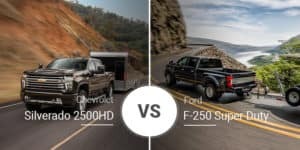 Who Should Buy the 2019 Chevy Colorado? The 2019 Colorado is virtually identical to the Canyon in many ways, but it separates itself with a lower base price, more off-road options, and a sleeker front end. This makes it perfect for the more-traditional pickup-truck buyer. Who Should Buy the 2019 GMC Canyon? 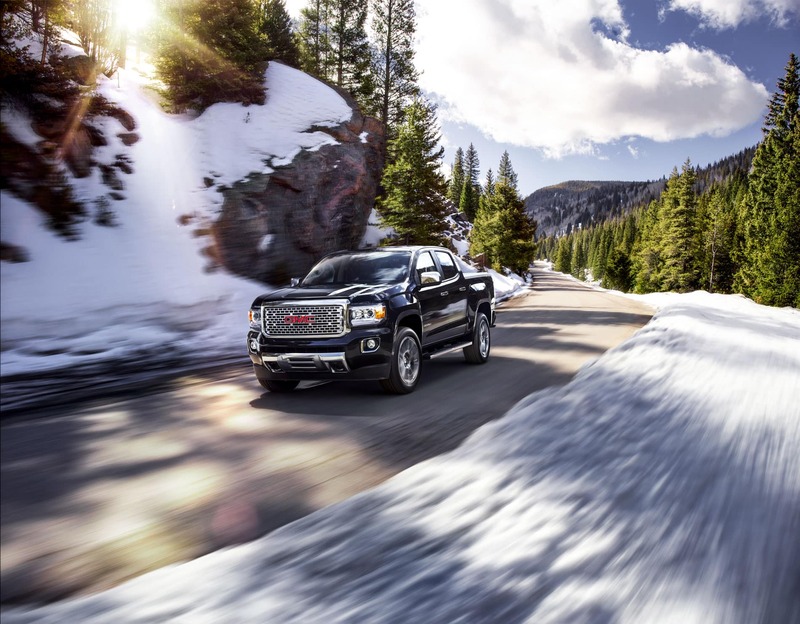 The 2019 GMC Canyon is pricier than the Colorado in virtually every trim with minimal upgrades, except on one trim: Denali. This Denali model give luxury shoppers the premium features they want. Visit our new-car dealership serving Orange Park, Jacksonville, and Fleming Island today to test drive the 2019 Chevy Colorado for yourself. Can’t make it in? You can check out our online inventory to make sure we have a Colorado in stock that fits your needs.